Albert Pujols sits on the stage at a public press conference introducing newly signed Los Angeles Angels of Anaheim players Pujols and C.J. Wilson at Angel Stadium on December 10, 2011 in Anaheim, California. 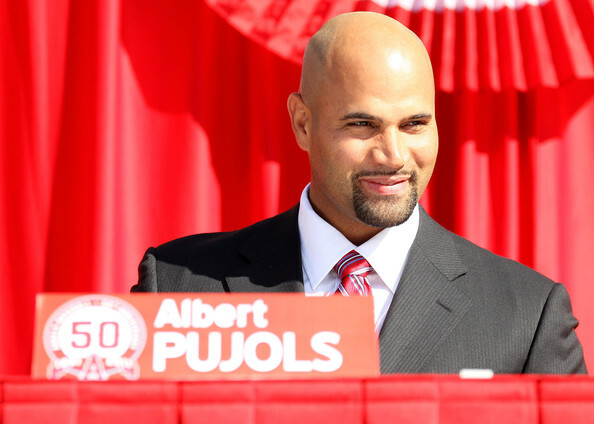 Albert Pujols signed to play for the Los Angeles Angels with a bald head.